When I travel I get very tired and I like to take Fatigued to Fantastic! 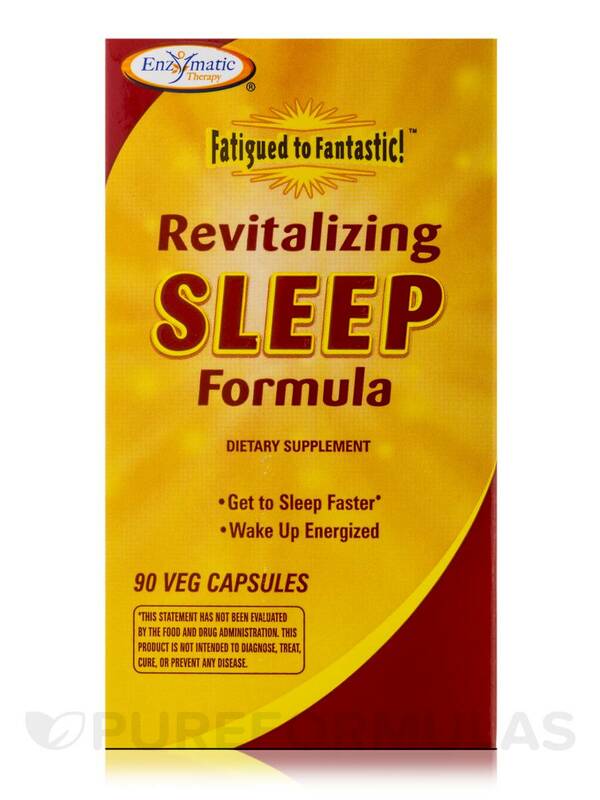 Revitalizing Sleep Formula by Enzymatic Therapy to help me get energized again! 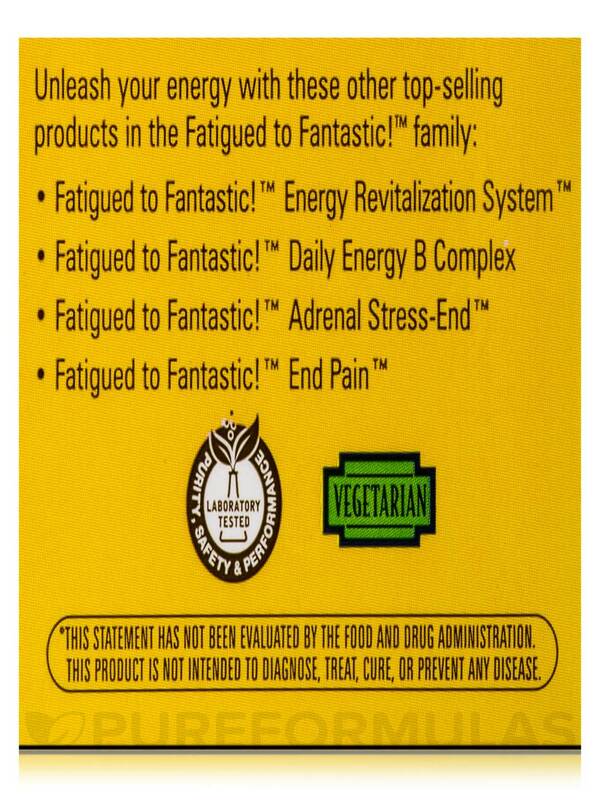 Fatigued to Fantastic!™ Revitalizing Sleep Formula. 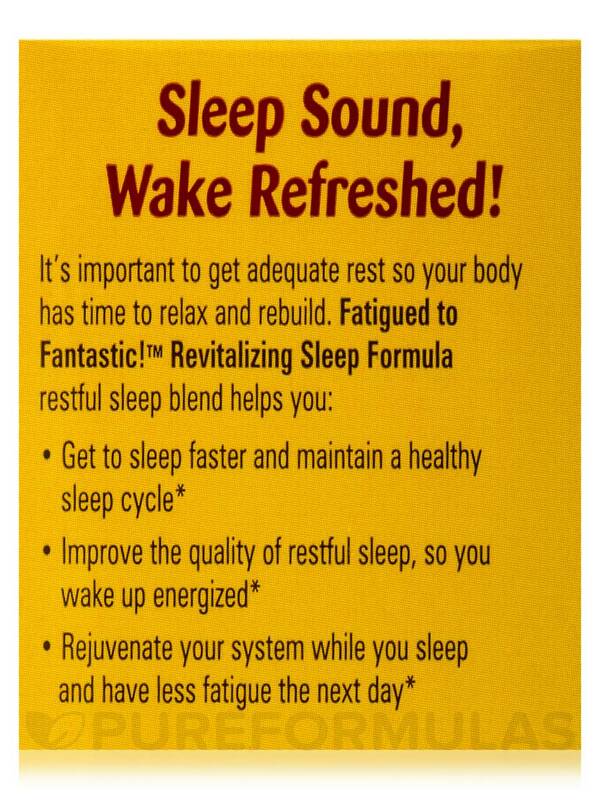 - Unique herbal blend to promote restful sleep so you wake up energized. Why be concerned about sleep quality? Daytime alertness and daily rejuvenation depends on it. - Quality nighttime sleep is crucial for daytime energy‚ and gives your mind and body a chance to relax and rebuild. 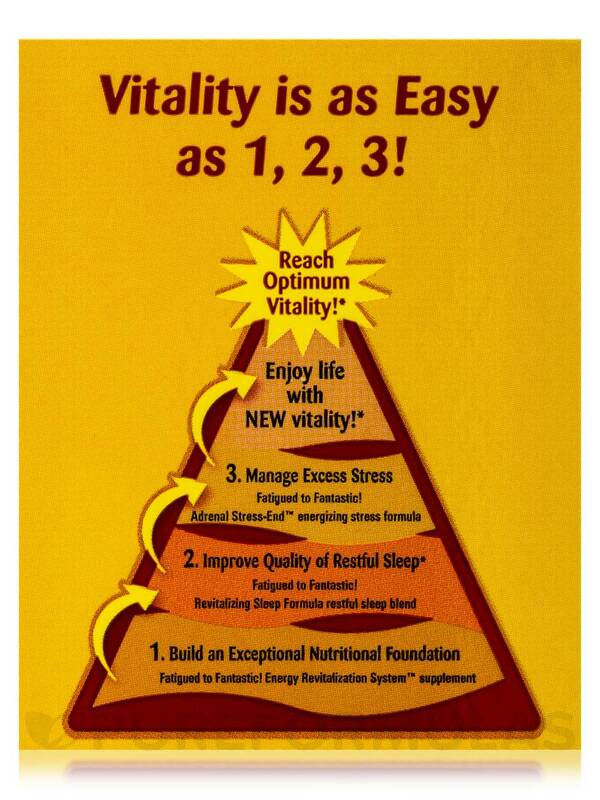 Why Fatigued to Fantastic!™ Revitalizing Sleep Formula? 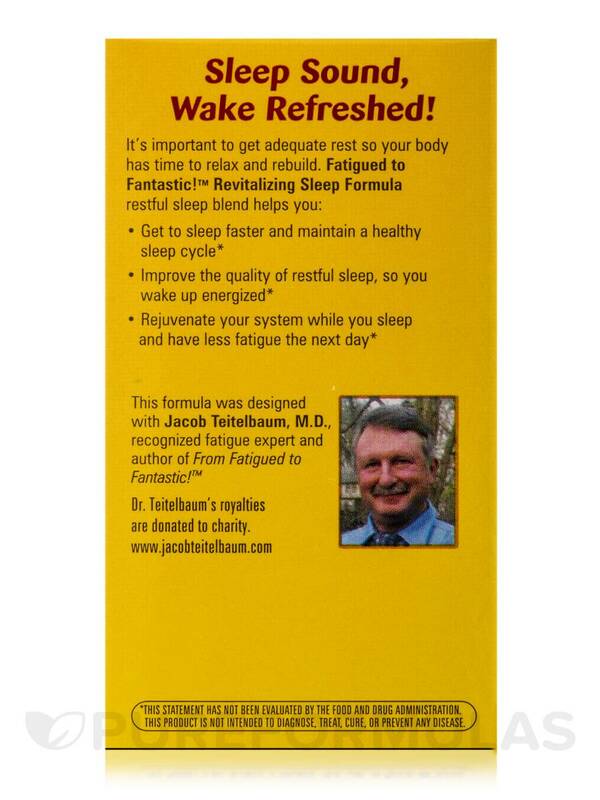 - The ingredients help you fall asleep faster and maintain a healthy sleep cycle - without feeling groggy the next day. - Improves the quality of restful sleep so you wake up energized and relaxed. You make the most of your sleep. - The Revitalizing Sleep Formula helps your body - especially your muscles - recuperate while you sleep so you experience less fatigue. 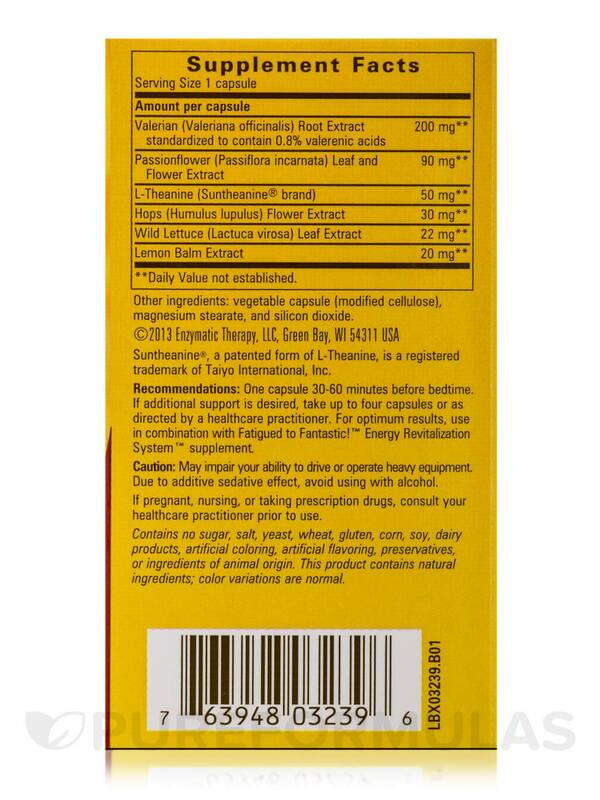 Other Ingredients: Vegetable capsule (modified cellulose)‚ magnesium stearate‚ and silicon dioxide. This product does not contain: artificial coloring‚ artificial preservatives‚ corn‚ dairy products‚ gluten‚salt‚ sugar‚ this product contains natural ingredients; color variations are normal‚ wheat‚ yeast. 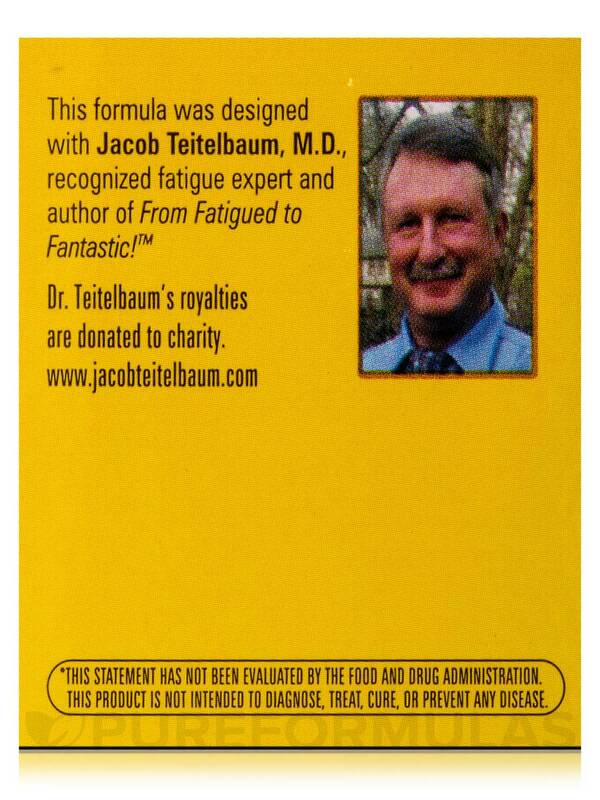 Suntheanine®‚ a patented form of L-theanine‚ is a registered trademark of Taiyo International‚ Inc.
Dr Teitelbaum's royalties are donated to charity. 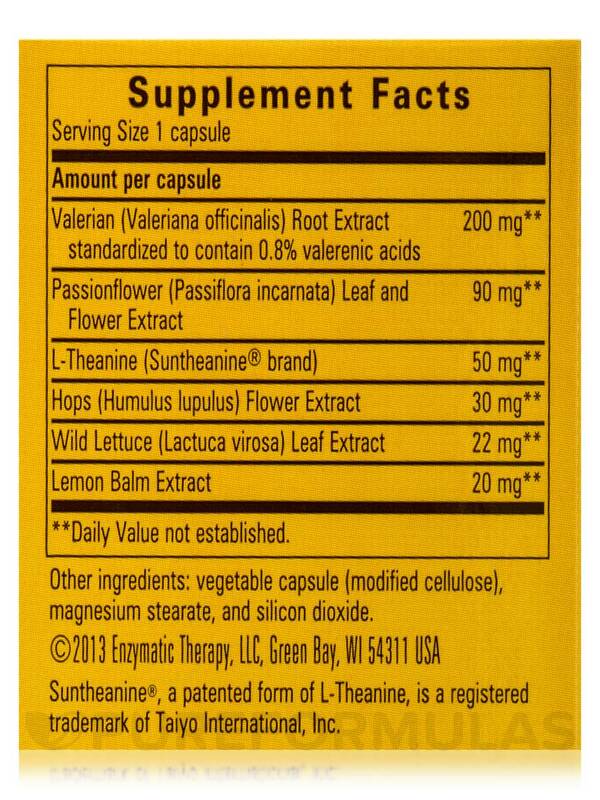 One capsule 30-60 minutes before bedtime. If additional support is desired‚ take up to four capsules or as directed by a healthcare practitioner. 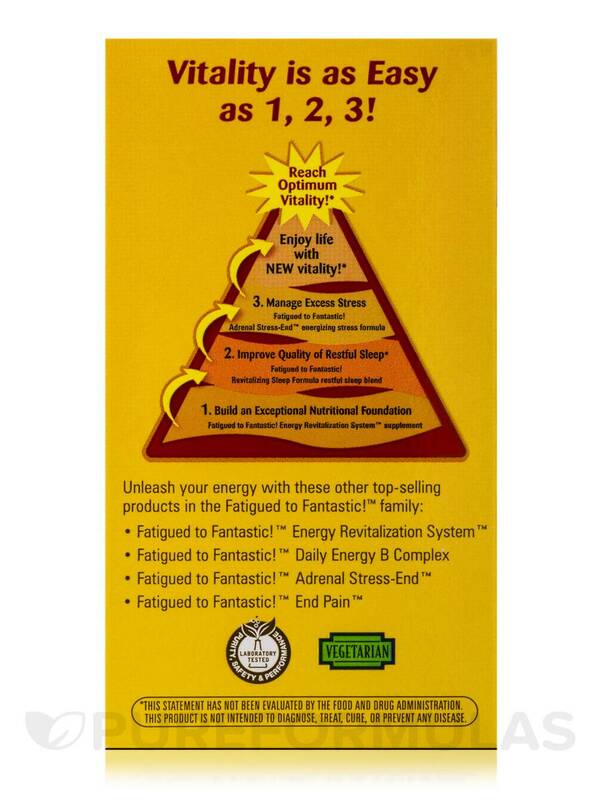 For optimum results‚ use in combination with Fatigued to Fantastic!™ Energy Revitalization System™ supplement. Caution: May impair your ability to drive or operate heavy equipment. 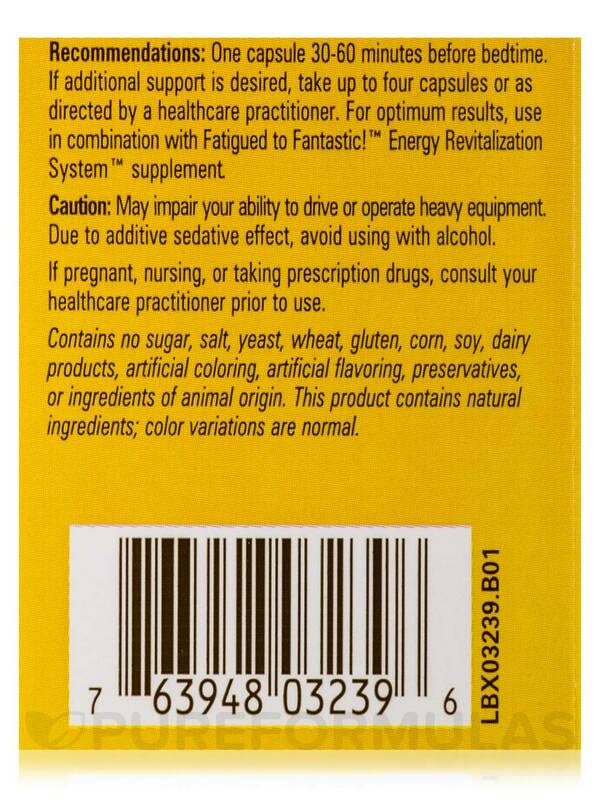 Due to additive sedative effect‚ avoid using with alcohol. I was very excited to try this Fatigued to Fantastic! 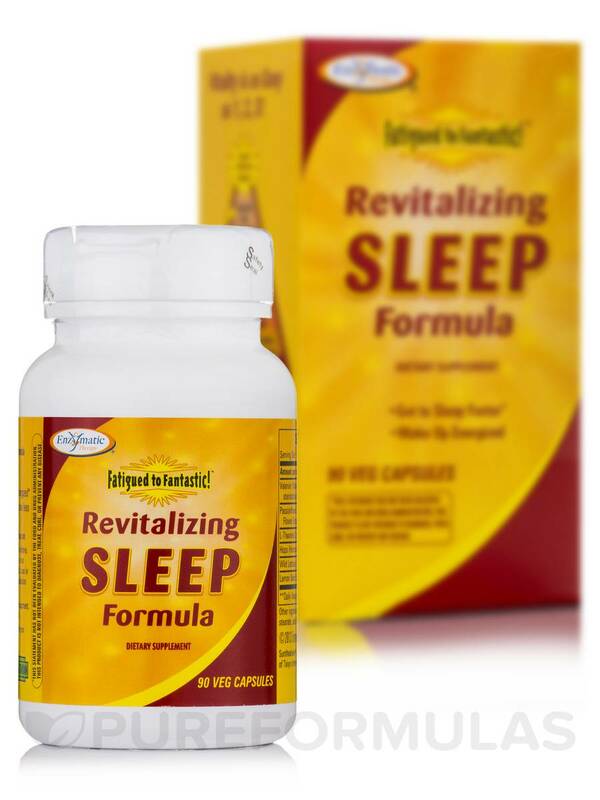 Revitalizing Sleep Formula by Enzymatic Therapy. I read the author's book. First bottle had good success, so ordered a second bottle. It did nothing for me. I could take 3-4 tablets and sleep never came. I was told you build up a tolerance for it and have to keep taking more and more. It did not work. A lot of hype and wasted money. Fatigued to Fantastic! Revitalizing Sleep Formula by Enzymatic Therapy is a good addition to my sleep routine.